Months of overlap of marriage and active duty military service __________________________ X .5 = The fraction of the servicememeber’s military retirement that is awardable to spouse. It is a common misconception that a spouse must be married to a servicemember for ten years to be able to receive any division of a military retirement. If there is only one month of overlap between the marriage and active duty service, that one month is put into the above calculation to determine the fraction of the disposable military retirement that is awardable to the spouse. The number would not be big, but a small amount of the retirement would go to the spouse. It may be that this 10-year confusion comes from a misunderstanding of the Defense Finance and Accounting Service’s 10/10 Rule. 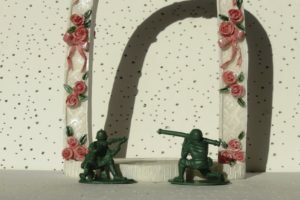 Under the 10/10 rule, for DFAS to enforce a division of retired pay, meaning an involuntary allotment being paid directly to the former spouse, a member and a former spouse must have been married to each other for 10 years or more during which the member performed at least 10 years of military service credible towards retirement eligibility time. The 10/10 rule DOES NOT establish that a marriage of less than 10 years of overlap between the marriage and years of credible service towards retirement precludes the division of said retirement. The disposable military retired pay is indeed subject to division by a Colorado court, just not subject to enforcement by DFAS. One thing has been mentioned several times but has yet to be defined, and it’s definition is a big issue-what constitutes disposable military retirement! In our next installment, we will discuss that very topic.